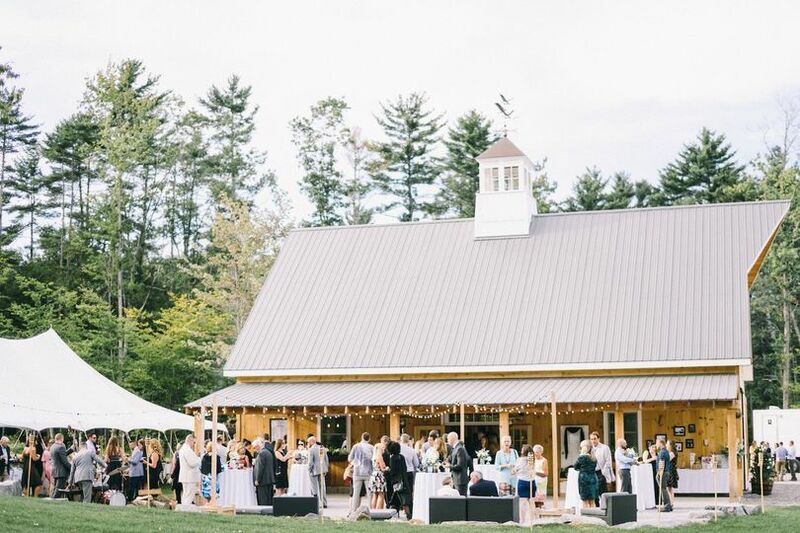 The Barn at Autumn Lane sits on a 20 acre property overlooking scenic Sebago Lake. 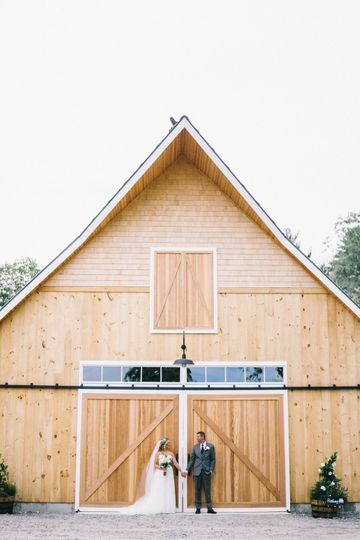 A unique space for a wedding ceremony and reception, the barn is newly constructed with an open floor plan and high ceilings, filling your occasion with natural light. The side of the barn opens to a stone courtyard area ideal for cocktail hour or games. 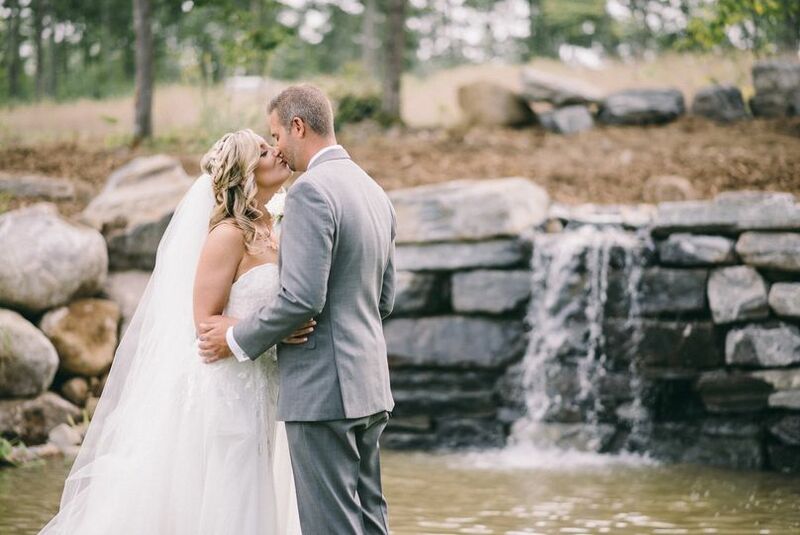 Off the back of the barn is a large grass courtyard surrounded by a 6' stone wall and cascading waterfall. 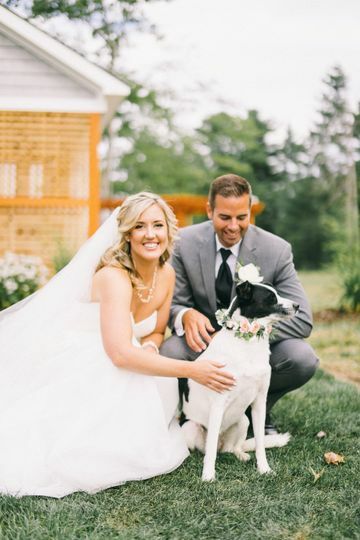 Exchange your vows a few steps away from the barn in the wedding field with a backdrop of the lake, rolling hills or surrounding woods. 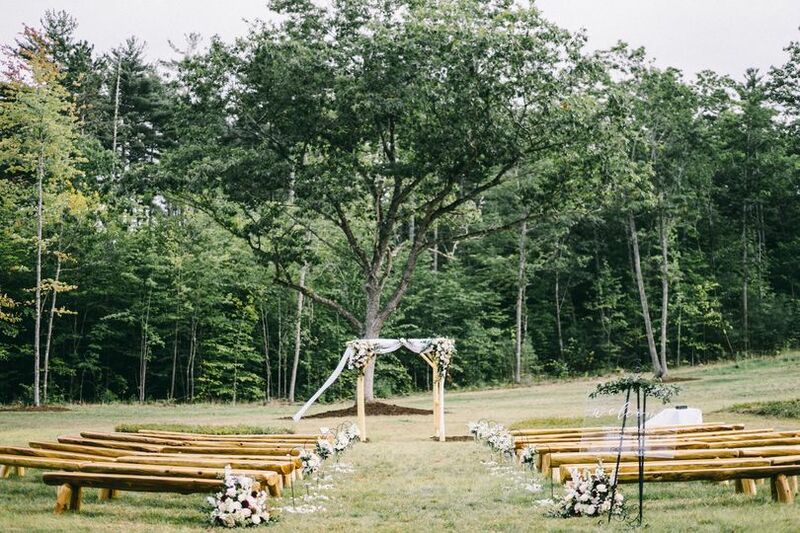 The field is also big enough to be tented to allow for larger wedding receptions. There truly is something for everyone! 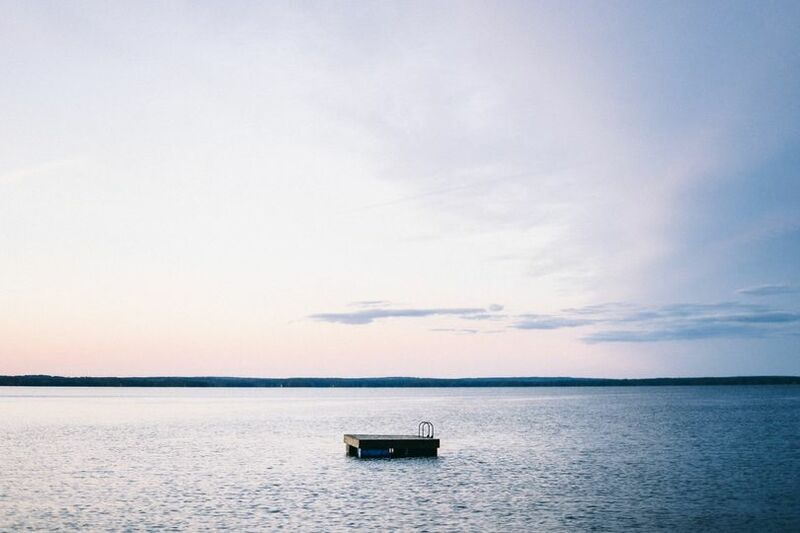 The base package also include the use of the couples cottage, a newly constructed modern getaway with a large master bedroom and bath and a porch overlooking Sebago Lake. It also includes a great room equipped for the bridal party to get ready for the big event! Additional packages include the use of the main estate house with 4 bedrooms and 3 baths or the lake front cottage with 2 bedrooms, 1 bath and private beach access. I am the mother of the bride! We just secured this amazing venue for a July 2019 wedding!!! 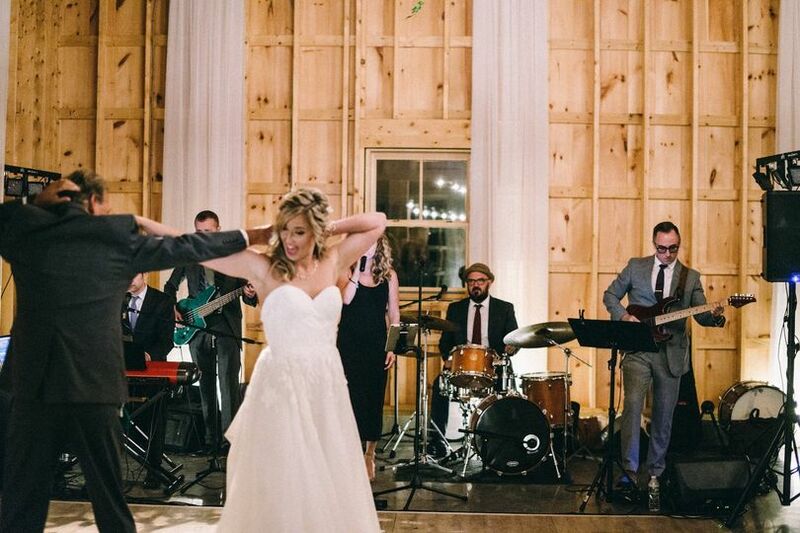 After looking at several venues, including barns of all sorts, there was no contest! 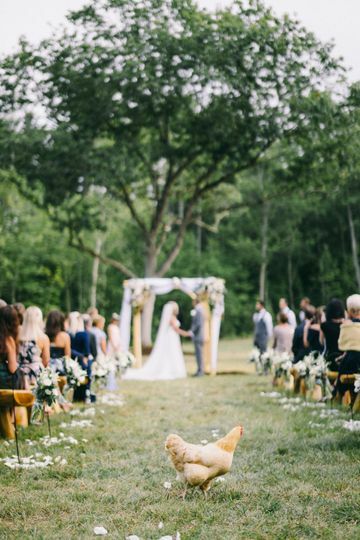 This venue is a dream come true for my daughter. 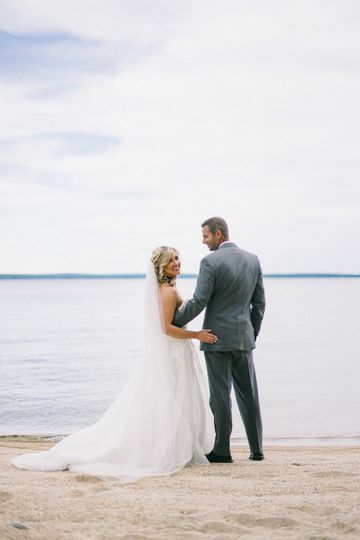 It is in the process of being built by Dan and Mackenzie, an inspiring young couple, who are designing a wedding experience that will soon be at the top of every bride’s list. We will be having three days and nights on their property, overlooking Sebago Lake. They have thought of everything to make the wedding weekend unforgettable and convenient. Thank you Dan and MacKenzie for creating a paradise! We are so excited to be working with you! My band, Mixology, plays in dozens of venues every year. We played here just last week, and I can attest that The Barn at Autumn Lane is a really special place. Dan and Mackenzie are wonderful people and have done an amazing job with the venue. The waterfall, the lighting, the hammock, the view of the lake - while still rustic, there are just enough little details to make it magical. Highly recommended!